This past Sunday I taught at Community’s Naperville Yellow Box Campus. Our Big Idea was apprenticeship, and I explained the three qualities we can look for when considering someone to be an apprentice. 1) The first quality is SPIRITUAL VELOCITY. To have spiritual velocity doesn’t mean you live a perfect life or have it all figured out what it looks like follow Jesus. What it really means is that the trajectory of your life is moving you closer and closer to Jesus. You desire to live a Jesus-centered life. You are trying to be more like Jesus in how you treat people, how you manage your time, and how you steward your finances. I’ve seen spiritual velocity illustrated this way. 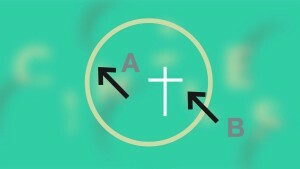 Let’s say Jesus is represented by the cross in the middle of this diagram. 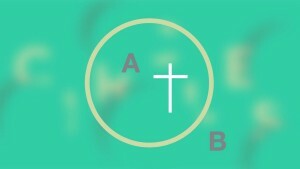 We might look at this picture and think person “A” is living a Jesus-centered life, while person “B” is not. But what if we add some movement to the picture? God is always on the move, his mission is always moving into new places with new people. 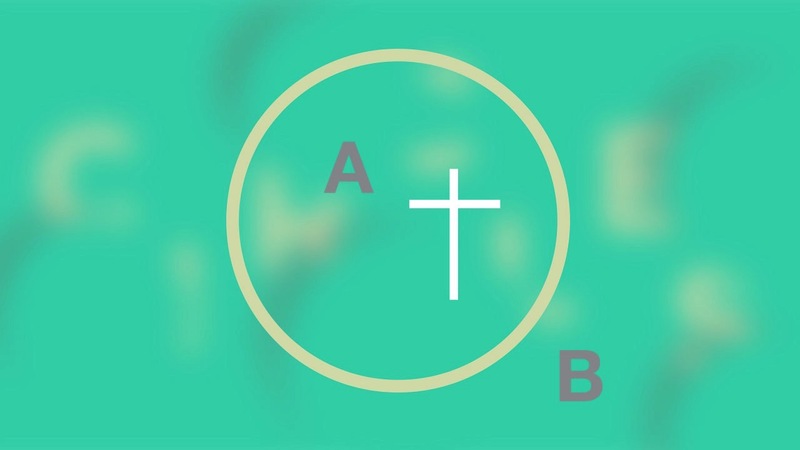 If person “B” is pursuing Jesus and following where he is leading, while person “A” is not growing – staying put and remaining where they are, it’s actually person “B” who has spiritual velocity. So, ask this of someone you are considering to be your apprentice: Is the direction of his/her life leading him/her closer to Jesus? 2) The second quality is TEACHABILITY. Apprentices are people who want to grow. They are willing to accept feedback in order to be developed. They don’t assume they know it all; they want to learn. Does the person you are considering for your apprentice have an openness to grow and be challenged in new ways? If you answer “yes.” Then he or she is likely teachable! 3) The third quality is RELATIONAL INTELLIGENCE. Relational intelligence is grounded in an understanding that all people are created in the image of God; people matter to him and they matter to us. A person with relational intelligence looks for the best in others. He or she genuinely cares about people and wants to help others find their way back to God. When it comes to relational intelligence, I challenge people to make sure you pass the “Caller ID” Test. In other words, “How does someone respond when they see your name come up on their phone when you call? If it’s “Oh, it’s Jon Ferguson, I think I’ll let it go to voice mail.” That’s NOT what you want! We believe the most effective way we can carry the Jesus Mission forward is to apprentice new leaders who will reproduce new small groups. This is by no means a complete list of qualities to look for in an apprentice, but it is a great start as you begin to look for someone you could lead down the path of apprenticeship. If you would like to explore these and more concepts around the idea of apprenticeship, order a copy of Developing an Apprentice.